The first one-man show. From left to right: "Untitled (Brandenburger Tor)" 1987, "Untitled (Destroyed city)" 1988 and "Untitled (Reichstag)" 1988. 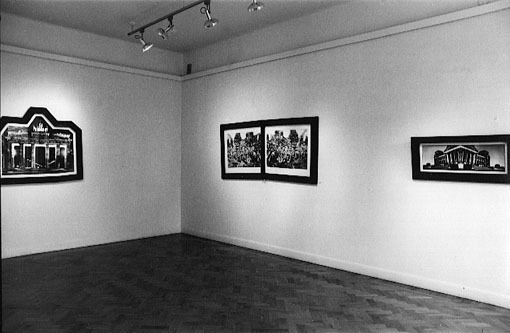 All three works in this installation view werel based on Berlin source material.